All you proud foodies out there are in for a treat, but only for your eyes, unless you are loaded, then good on you. Envious, NOT. 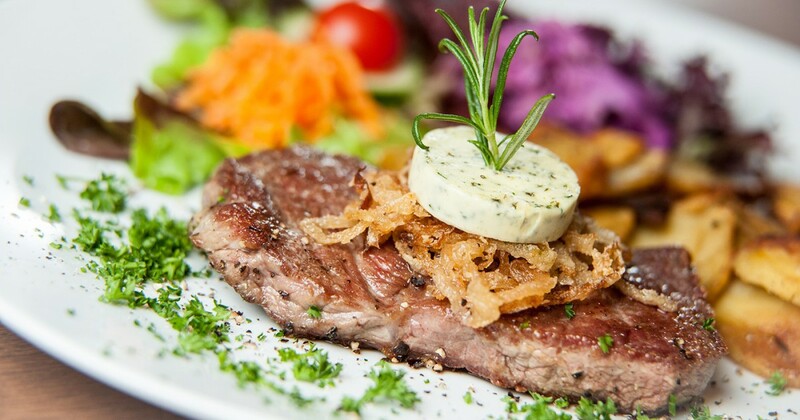 Good food and good company make our lives a little brighter and nothing beats the taste of well made delicious food that comes at a commercial affordable price. Hey! At the end of the day, we want a nice meal at a nice price, eh? But what if we tell you that there are dishes out there in the world that are at such high price points, that will blow your mind and your pocket for that matter. But it is expensive for a reason, the question is… Would you go for it? Here are our top picks of the most expensive food in the world. Let’s just get serious and dive right into the heart of foodies, pizza is a sensitive matter, guys. 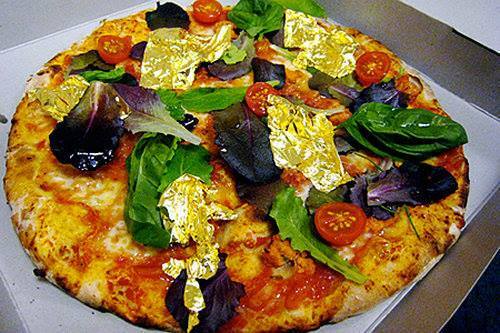 And this pizza, all the way from Malta costs $2,400. YIKES! Expensive Because: 100 grams of truffle and gold leaf are used. 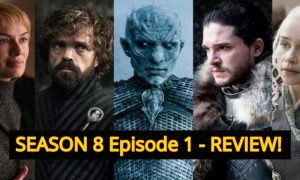 You need to place your orders one week in advance, for this expensive goodness. Next up is this particular ramen that is so expensive and definitely not the kind of soul-food you can go for every once in a while. Priced at $110 a bowl. Expensive Because: Made with over 20 ingredients and two different soup stocks that take a total of three days to prepare. It also comes with a fancy name – “Five-taste Blend Imperial Noodles”. 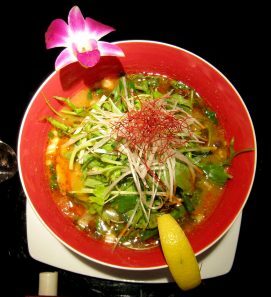 Although our regular salans are quite tasty, we are dealing with a whole new level of curry here, the most expensive in the world sold at a whopping price of $3,200. Expensive Because: This super expensive curry called the ‘Samundari Khazana’ contains all sorts of mouth-watering seafood, including Beluga caviar, Devon crab, gold leaf, white truffles, four abalones, four quail eggs and Scottish lobster..wait for it….coated in gold. This curry is on a whole different level. 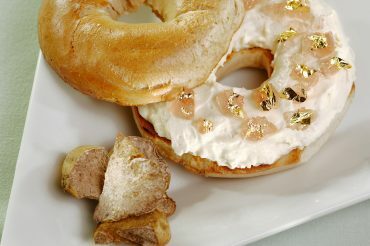 This expensive bagel is the creation of the Executive Chef Frank Tujague and comes with a price tag of $1,000. Expensive Because: This bagel is filled with a ‘small’ quantity of white truffle cream cheese, Italian truffle, and goji berry-infused Riesling jelly that are topped with gold leaves. This definitely screams expensive. This is the most expensive sundae around the world, that doesn’t even come in a large quantity and is for $1,000. 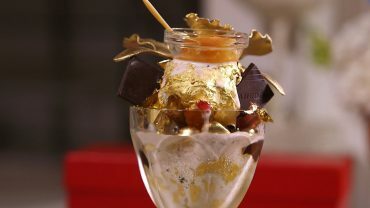 Expensive Because: The Golden Opulence Sundae consists of Tahitian Vanilla bean ice-cream, again, covered in gold leaf. It is then dressed with Parisian candies and Grand Passion Caviar. We desis want good quantity for a high price, let’s get that straight. 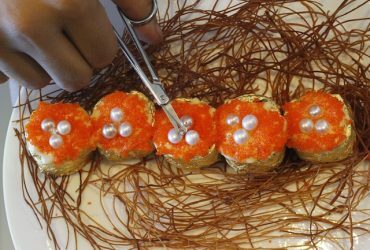 But this sushi chef serves only five pieces for $1,978.15. But you would love to hear what it contains, making it by far the most expensive sushi in the world. Period. Find it at: Served on special request by Chef Angelito Araneta Jr. Expensive Because: Each sushi piece is wrapped in gold leaf, topped with 10 ounces of caviar, three Mikimoto pearls and each of these nigiri rolls have a 20-carat African diamond, sitting atop in the middle. Talk about edible art? This is it and the most expensive at that. Burgers are the perfect comfort food and this burger joint just took comfort several notches up, with drool-worthy fillings for $777. Expensive Because: it contains Kobe beef and Maine Lobster as the main base topped with goat cheese, arugula, pancetta, foie gras and 100 years aged balsamic. Woah! 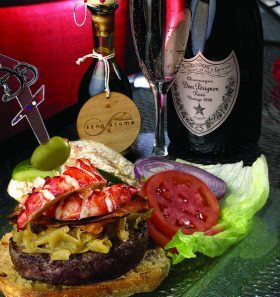 This is a lot of topping but it doesn’t stop here, they serve you alongside this burger, a bottle of champagne – Rose Dom Perignon to be precise. Honestly? Just writing this was a ride in itself. 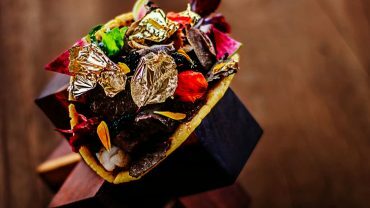 This taco has definitely set the record of being the most expensive taco around the world, the price would leave your jaw open. Situated in Mexico which is famous for its cheap yet delicious street food, this taco is being sold at $25,000. Not for the faint of heart, this taco is something else and definitely not for the regular folks, for the price it comes in. Expensive Because: this taco contains Almas Beluga Caviar, Kobe Beef, langoustine, and black truffle brie cheese. And since a taco is incomplete with salsa, this taco too comes with an extreme sounding salsa. See for yourself- made with Morita chili peppers, tequila and civet coffee. Sounds complex, right? One of the most expensive desserts in the world, this gorgeous assemble costs $1,000. Found in Dubai, it is definitely the order of the wealthiest. This ‘Golden Phoenix’ cupcake is one of those delicacies that are not for public consumption. In fact, only fifteen of these cupcakes have been sold so far, since 2013- All ordered by some of the richest ruling shiekhs. 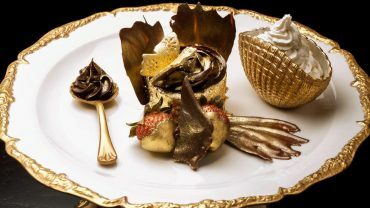 Expensive Because: It is created by infusing actual gold into the cupcake, made with Italian cocoa, organic strawberries, Ugandan vanilla beans, gold dusting on top, and is wrapped entirely of 23-carat gold sheet. If this isn’t a royal cupcake, we don’t know what is. Simply beautiful! 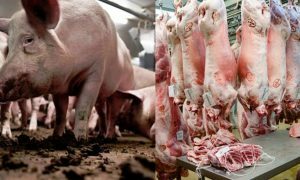 This sums up our journey of the most expensive food in the world, and rightfully so, considering the high-quality ingredients that they use to create these dishes. Who knew basic necessity could come at such a heavy price, but it is all about the experience and if you can afford it, no one is stopping you.